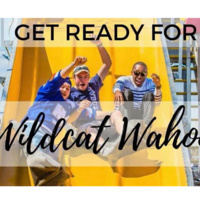 Join UIB for our biggest event of the year, the annual Wildcat Wahoo Carnival! Enjoy a variety of rides, games, novelties, food trucks, and entertainment! *Families and friends of current JWU students, faculty, staff, and alumni are considered "guests." This event is not open to the general public. Follow @UIBJWURI and @WildcatWahoo on Instagram for more information!